I, Pema Yoko, am right now visiting New York, a place where the Tibetan community is booming and bustling. It is also the home of SFT head quarters, and where many of my close friends and family live. The more I come, the more I enjoy the city with my Tibetan warrior friends. 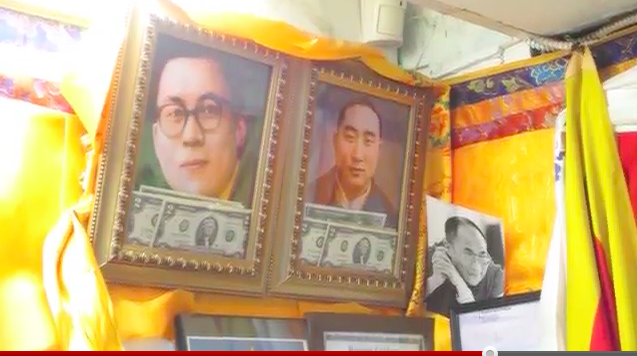 Yesterday was Wednesday, and we decided to spend a day together for Lhakar in Jackson Heights, Queens – also known as “Little Tibet.” We wanted to support the local Tibetan businesses. The previous post showed quite a bit of us eating, which i have to say, if you get a chance to visit Zomsa Restaurant please do. The take away was yummy, at good price, and came in good healthy portions! dl08, NYCYak and I would like to give you a little glipse of Jackson Heights, for all those who are not from New York. Although we went looking for tsampa, unfortunately for us, they had run out 😦 but dont let this stop you from checking it out. Nice extension of the Be Tibetan, Buy Tibetan campaign that Tibetans are waging inside Tibet! I guess the unstated message is “Don’t Buy Made-in-China.” Zomsa Restaurant even has a bilingual menu — it’s in English as well as Tibetan!!! hi can you tell me the name of that lovely shop in the video?